This is the question that Leigh Fallon is faced with when she learns that her marriage to Congressman Bob Fallon is not as honest as she's always assumed. 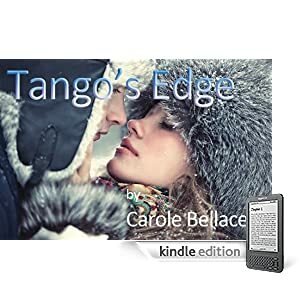 It feels like Bob has been all but ignoring her, except to criticize, and Leigh finds herself helplessly drawn to Erik, the twenty-something Norwegian exchange student who's staying in their home. When she finds proof that Bob has been spending his free time in the arms of his beautiful, young Capitol Hill secretary, Leigh decides that "enough is enough" and allows herself to begin a relationship with Erik. Little does she know that her affair with the young Norwegian will change her life forever, setting in motion a series of events that bring tragedy, anguish, and ultimately a discovery of hidden strength and courage. 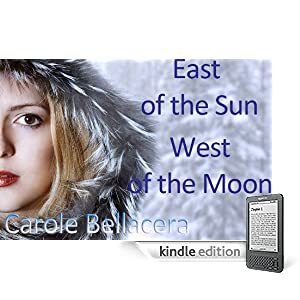 "<It> held me in its grip from page one...a marvelous cast of characters...Carole Bellacera <is> a mesmerizing voice in women's mainstream fiction." --Suzanne Coleman, The Belles and Beaux of Romance. "Mark, you have truly lost your mind." Leigh tossed the flyer back to her nineteen-year-old son. "You don't think I have enough to do? I'm working on deadline to get these illustrations to Ellen. Aaron's scout troop sees me so much they're considering me for membership, and Mel has me running a chauffeur service between here and the mall. And now, you want me to host a Scandinavian exchange student for an entire year?" "It would be great for my sociology class. Think of what it could teach me to have a foreign student living with us." Leigh sighed and turned back to her drawing table. "That argument might wash if we were talking about a student from Zimbabwae." She darkened the outline of a plump rabbit with her charcoal. "But Scandinavia isn't much different from America in culture." Mark ran an exasperated hand through his thick, dark brown hair. "Will you at least think about it? You've always talked about how much you want to go to Europe. Having a European in the house would be almost as good as going there." "But Mark, a year. That's a long time to have a stranger living with us." "He wouldn't be a stranger for long. And if you're worried about his character, you've got to know what it takes to be a graduate exchange student. We're not talking about a slacker here." "That's not what I'm worried about." A wry smile flickered on her lips. "You keep saying 'he?' Isn't it possible our house guest could be a girl?" "That thought did occur to me." A teasing light sparkled in Mark's brown eyes. "I've read about those hot Swedish ladies." Leigh leaned back and stretched her aching muscles. "Don't believe it. I'm sure all the girls in Sweden aren't blue-eyed blondes with lush bodies." "Does this mean you'll think about it?" Mark wore a smug look on his face as if he knew he'd already won. It screamed to be wiped away. "Your father probably won't go for it. You know how busy he is." It worked. The smug look disappeared and frustration replaced it. "That's just the point. He's never here. He's either on the Hill or away on some business trip. He probably wouldn't notice if you moved in a whole army of exchange students." "Don't get smart. Anyway, we'll still have to discuss it with him." Leigh dismissed him, turning back to her sketch. "As soon as I get a chance, I'll mention it." His dark eyebrows lowered. "You'll probably have to make an appointment with him." "I said I'll talk to him. That's all I can do." "Thanks, Mom." He gave her an endearing smile. Leigh felt her heart melt. His smile always did that to her--and he knew it. With an affectionate ruffle of her ash-blond hair, Mark left the room. She sat for a moment staring at her unfinished illustration. It was for a new juvenile book due out at Christmas. In another week or two she'd be ready to drop it off to Ellen. The illustrations were for Hydra Kouripoulous' picture book, the last six of which Leigh had been commissioned to illustrate. With the publication of each one, her sense of satisfaction had grown, and even Bob's indulgent attitude towards her "hobby" didn't diminish the accomplishment she felt. Her art was a career to her, but somehow, her husband had never quite accepted that. Leigh stood up and walked over to the window seat overlooking the gently rolling hills and knolls of Northern Virginia. In the distance among the tall oak trees, she could see one of the attractions of the three acres of land they owned, a flowing brook that meandered through the property and ended with a small cascading waterfall into a rock-carved pool. It was one of her favorite places to sit and read or sketch...when she had the elusive spare moment. With a sigh, she turned from the window. No use putting it off any longer. It was time to put down her pencils and charcoal and go downstairs to start dinner. With one last glance at her unfinished sketch, she descended the winding stairs from the loft studio into the bedroom and jogged downstairs to the kitchen. It was a room which, most of the time, filled her with a delight. A spacious country kitchen with an island cook-top and sink. Plenty of cabinet space including a corner Lazy Susan and counters of slate blue Mexican tile to match the flooring. But today, her beautiful and functional kitchen gave her no pleasure. Somehow, Washington's hot humid summers were not conducive to gourmet cooking, even to the most adventurous of chefs. But hungry kids were hungry kids, and Leigh was determined they wouldn't live off McDonalds' hamburgers all summer. As she browned the ground round for lasagna, the back door swung open. Her ten-year-old son, Aaron, stepped into the kitchen, followed closely by Ivan, the family Golden Retriever. "Hi, babe. Close the door. You're letting the hot air in." Aaron acknowledged her command by slamming the door fiercely, sending a shaft of pain through her skull. Leigh glanced at her son. "What've you been doing?" Aaron's normally shiny blond hair was dark with sweat and black grime. His face and clothing appeared to be covered with the same gruesome substance. "Nathan and me were playing war-games down by the creek," he said, scratching the back of his filthy neck. "We were killing Arabs." Leigh grimaced. Amazing how much he sounded like his father. "I see." Just as he was about to take the top off the cookie canister, she lunged for it. "No, you don't. It's too close to dinner." "Tough. Dinner will be ready in an hour. Why don't you and Nathan go swimming? He can stay for dinner." Aaron's face brightened. "Okay." He ran for the back door. "Get cleaned up first." Leigh called after him, but he was already gone. With a sharp bark, Ivan leaped up against the screen door and watched him go. After Leigh popped the lasagna into the oven, she stepped outside to water the peonies planted along the back of the house. Like walking into a sauna, she thought, as the sticky humid air enveloped her. At that moment, Melissa appeared with her best friend, Andrea. With shining blonde hair, the fifteen-year-old girls were almost carbon-copies of each other, especially since their wardrobe apparently was interchangeable. Andrea was wearing a sleeveless red-plaid shirt--the same one Leigh had bought for Melissa only a few days ago. "Hi." Melissa wore the terminal expression of boredom she'd acquired since turning thirteen. "We'll be up in my room 'til dinner's ready. Oh, it is okay if Andi eats with us, isn't it?" Leigh smiled "Sure. What have... " The girls turned to go into the house. "Hey, not so fast. I haven't seen you all day. What've you two been up to?" Andrea grinned sheepishly. "Oh, you know...hanging out..." Her reply was drowned out by a shriek that blasted through the air. Two wiry bodies bolted from around the corner of the house and jumped into the swimming pool with a loud splash. Melissa shrieked as pellets of chlorinated water saturated her neat mini-skirt. She turned furiously to her mother. "Mom. Did you see what that little monster did?" Leigh laughed. "What are you, a witch? Think you're going to melt?" She twisted her fingers into claws and grimaced. "I'm mellltting..."
Melissa rolled her eyes. "Mom, please." She looked over at her friend. "You can't take her anywhere." Leigh grinned and turned back to the flowers. "Why don't you two go for a swim?" "With those two little brats in the pool? Forget it. Come on, Andi, let's go listen to Guns N' Roses. Have you seen their new video? It's so cool..." Her voice trailed away as she led Andrea into the house. Leigh turned off the hose, stood back and glanced at her watch. Surely Bob would be home any minute. But then, just as she stepped into the house, the phone rang, and she knew once again they'd be eating without him.